ATEN also took home the Best Choice Awards for Peripherals & Digital Entertainment. At the first Solution Day conference of 2017, ATEN showed how A/V and IT integration is powering the world’s smart cities. Attendees got to hear ATEN success cases in this area as well as experience live demos of innovative new ATEN solutions for the hospitality and surveillance markets. At ISE 2017, we showcased our dynamic range of Media Distribution, Control Room, IT Management, Thunderbolt 2 and Control System solutions across the booth. Besides the control system, our 85" 4K video wall and matrix system with seamless 4K switching caught a lot of eyes. We also collaborated with the HDBaseT Alliance to showcase the latest HDBaseT 2.0 products and video wall solutions. 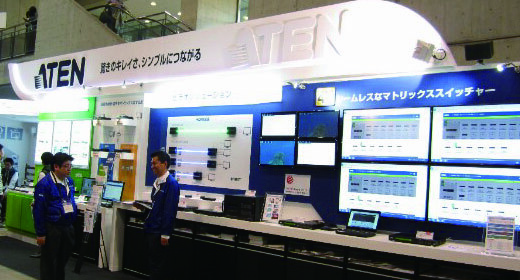 The star of ISE this year was ATEN's versatile 3-in-1, 12-Port DP Video Wall Media Player, the VS1912. Other key highlights included the ATEN Control System, the VM6404H 4K Seamless Matrix Switch, and the VM1600 16x16 Modular Matrix Switch, as well as centralized data center management and HDBaseT solutions. 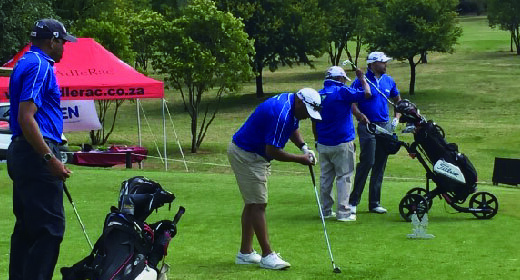 ATEN supported a fundraising golf event in South Africa to raise money for Villa of Hope Children’s Home. The charity provides shelter and care to children aged 1 to 18. 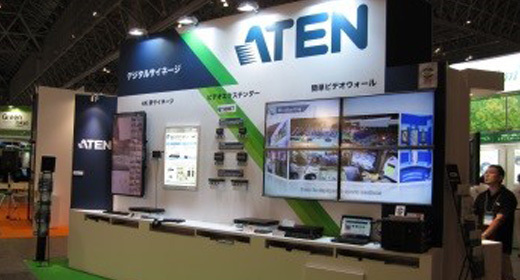 At InterBee Japan, ATEN had its professional A/V solutions on display. Highlights from the show included the Red Dot Award winning VM Seamless Switch Series and a host of HDBaseT-compatible products. Friday marked the glittering night of nights in the design world, the ‪Red Dot Gala. We were very proud to pick up a ‪Communication Design award for the ‪VM Seamless Switch Series’ interface! ATEN was a hit at InfoComm15 Orlando! 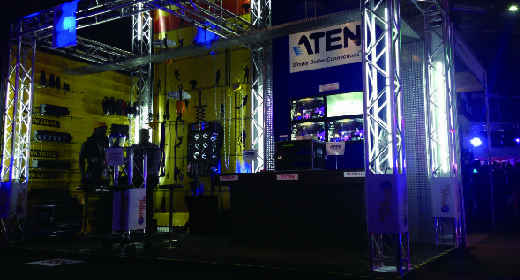 Crowds came in big numbers to see ATEN's latest and most innovative products. If you missed us during the show, catch a photo recap here! ATEN Infotech Attends First IBC Show! At IBC, ATEN had on display its latest professional A/V, surveillance, digital signage, and KVM over IP solutions in multiple live demonstrations. The highlight of the show was the debut of ATEN’s ATEN Control System, an easy way to automate and centralize your hardware management. Thanks to all those who visited us, we look forward to seeing you again next year! Drawing the Crowds at InfoComm India! At this year's InfoComm India, visitors to the ATEN booth previewed our latest professional AV, multi-view management and control system solutions. The key product highlights at the event included the ATEN Control System, our multi-view management solution and VM Seamless Switch Series (Red Dot Interface Design Award 2015). 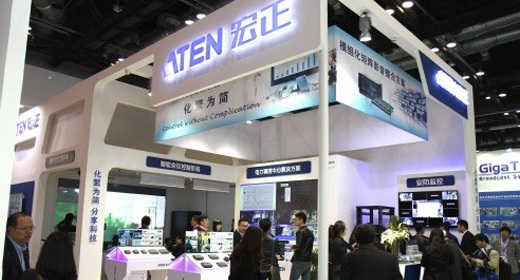 During the Computex trade show, ATEN hosted its partners from around the world. Our Russian and Kazakh partners were very impressed by the ATEN company tour which allowed them to see firsthand our rigorous quality assurance process. 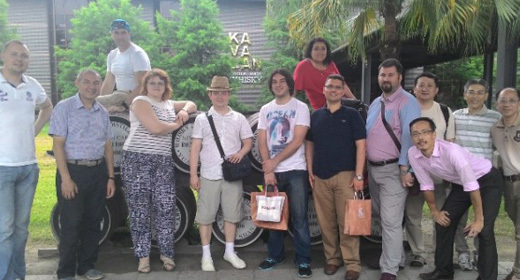 To share the beauty of Taiwan, a one day outing was organized, which included a visit to the National Palace Museum, lunch at an aboriginal village, the Kavalan Whisky distillery tour and a quick dip in the ocean. Thanks to all those who visited our booth at Computex 2015! You can also watch this 40 second tour of the booth. Integrate marks ATEN’s first representation at an industry event in Australia and follows the opening of their 8th international office in Sydney earlier this year. 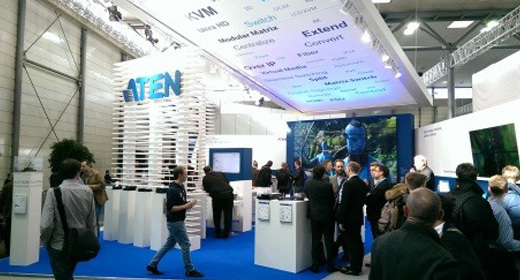 Visitors to ATEN’s Integrate booth were able to experience firsthand the award-winningVM Seamless Switch Series (Red Dot Interface Design Award 2015) and ATEN’s comprehensive range of HDBaseT-certified solutions. At the booth, there was also an exclusive preview of ATEN’s yet-to-be-released 12-Port DisplayPort Video Wall Media Player. Showcasing our latest products at Mediatech Africa! 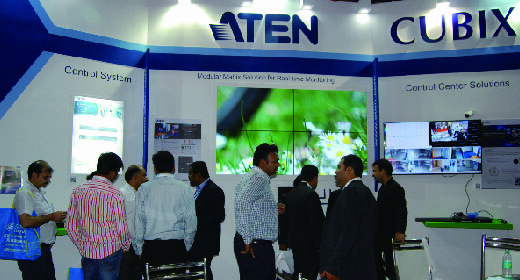 On display at Mediatech Africa were ATEN's Class A and Class B HDBaseT-certified extenders. At Mediatech Africa we had a live demonstration of our 4 x 4 HDMI Matrix Switch with Scaler, VM5404H. This model is part of the Red Dot Award winning VM Seamless Switch Series. The ATEN Japan booth drew crowds at the Data Center and Embedded System Expos during Japan IT Week, the largest IT show in Japan held from May 13 –15. 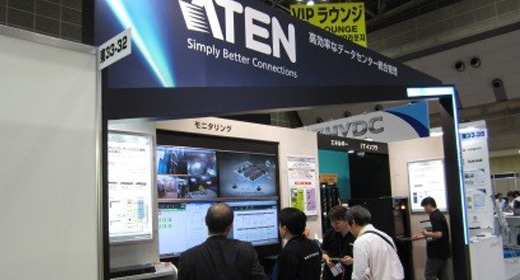 ATEN presented its latest control center and surveillance solutions at the show. There were also live demonstrations of the VM1600 Modular Matrix Switch, KE6900 DVI KVM over IP Extender and the 0U Eco PDU solution. 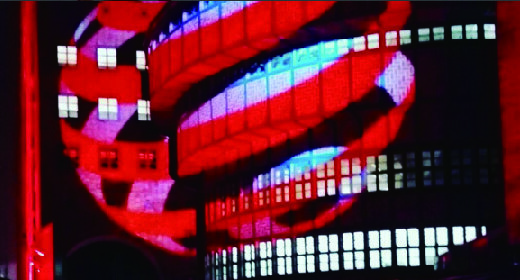 Thanks to all those who visited us at InfoComm China! Interop Tokyo 2015 is a leading global business technology event. 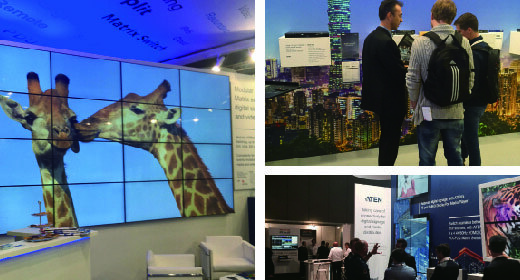 At this year’s show, ATEN presented its latest enterprise KVM and Professional AV solutions. 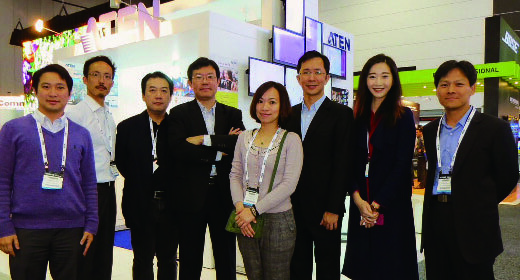 Visitors flocked to see ATEN's DVI KVM over IP Extender (KE6900) and advanced 4K solutions. 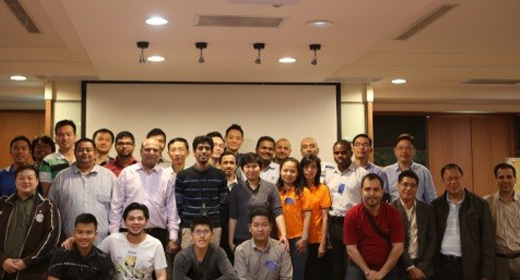 ATEN hosted its annual Pan Asia Distributor Conference from April 13-15 in Taiwan. At the event, ATEN provided an insight into its development and vision for the year 2015, including product roadmaps, channel programs and marketing plans. Various regional success stories and case studies were shared at the conference as well. The event served as a great opportunity to learn from our partners, discuss sales and marketing strategies and to introduce our exciting new products. Thanks to all our partners who attended ATEN's Pan-Asia Distributor Conference! 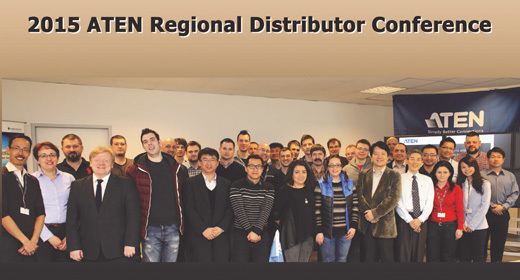 This year, ATEN’s two day Regional Distributor Conference for CEE and RCIS customers was held in Budapest, Hungary. The event gave ATEN the opportunity to listen and learn from its partners and celebrate their sales and marketing achievements. A city tour was also provided so that conference attendees could discover the best parts of a most beautiful city – Budapest. ATEN would like to thank all those who attended; the success of the conference was all thanks to your attendance and invaluable input. Thank you for making this such a rewarding event. Together, the future’s brighter than ever. "Management round table helped me understand ATEN much more, and deeper, and I really like this kind of face-to-face discussion." - Mr. Daday Hunor, Director of MIKRO ATLAS SRL. "From 1 to 10, I give ALL 10’s from each perspective, no matter the meeting venue / hotel selection / presentation / food or beverage ...Thanks for the detail and thoughtful arrangement from ATEN." - Mr. Maxim Krivosheev, General Manager of COLAN. At CeBIT 2015, people were drawn to the ATEN booth to see live demonstrations of the VM1600 Modular Matrix Switch and the highly anticipated, industry-first VM6404H 4K True Seamless Matrix Switch. 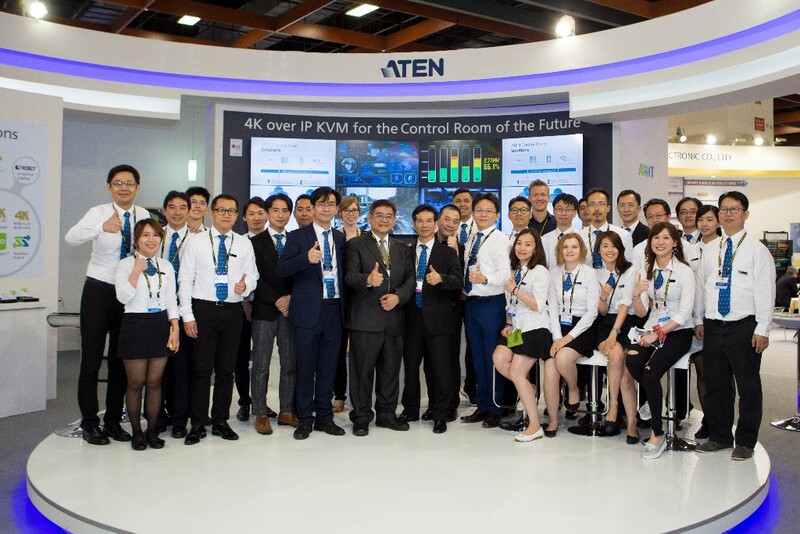 Other booth highlights included: ATEN’s range of KVM solutions, especially the Multi-View KVMP Control Center CM1164; HDMI Matrix Switches with Video Wall & Scaler technology; and HDBaseT products. The HDMI Matrix Switches with Video Wall & Scaler technology included the VM5404H and VM5808H. HDBaseT products included the VS1814T /VS1818T splitter and VE813 HDMI extender. ISE 2015 was a very successful event. People were drawn to the ATEN booth to see live demonstrations of the VM1600 Modular Matrix Switch and the highly anticipated, industry-first VM6404H 4K true Seamless Matrix Switch. Other booth highlights included: ATEN’s range of KVM Solutions and HDBaseT Products. HDBaseT products included the VS1814T / VS1818T splitter and VE813 HDMI extender. Thanks to everyone who visited us at IT Partners Paris Disney. It was a magical event! The VM5808H 8x8 HDMI Matrix Switch video wall was one of the show highlights. Also featured at the event was the CM1164 4-port USB DVI-D KVMP Control Center and a range of ATEN PDU products. © 2019 ATEN INTERNATIONAL Co., Ltd. 모든 권리가 보유됨.